While going shopping in my French supermarket I saw a great piece of beef chuck. It had a decent size and not many major fatty parts but was marbled with fat instead. 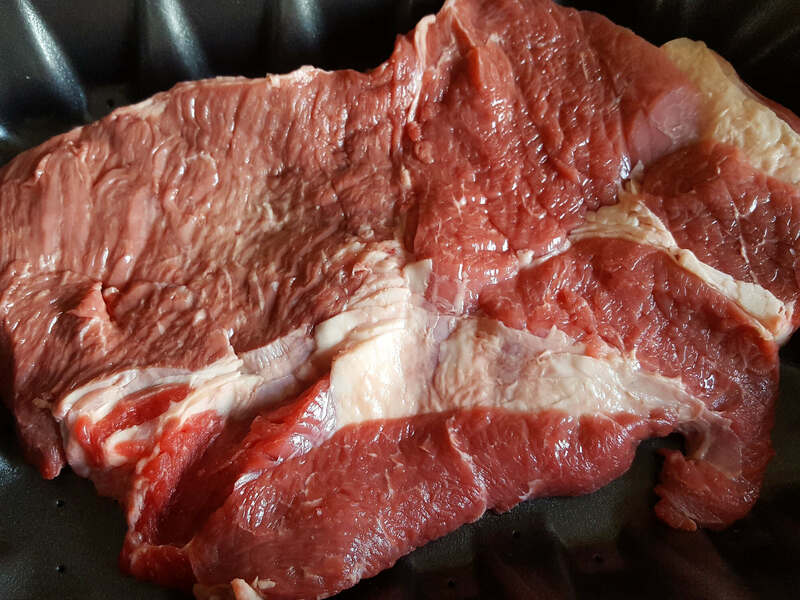 The marbled texture is something to look for in meat used for a stew or a roast. Well, it’s something to look for in beef in general actually. It will render out from the inside and keep your roast moist longer and your stew will get a unique flavour profile. I say this in comparison to your lean meat cuts. While the English culinary art isn’t distinguishing that much in terms of cuts, my French neighbours take it to another level. That’s why I want to emphasize that the cut of chuck I used would be referred to by the French as basses côtes, which literally translates to lower ribs. 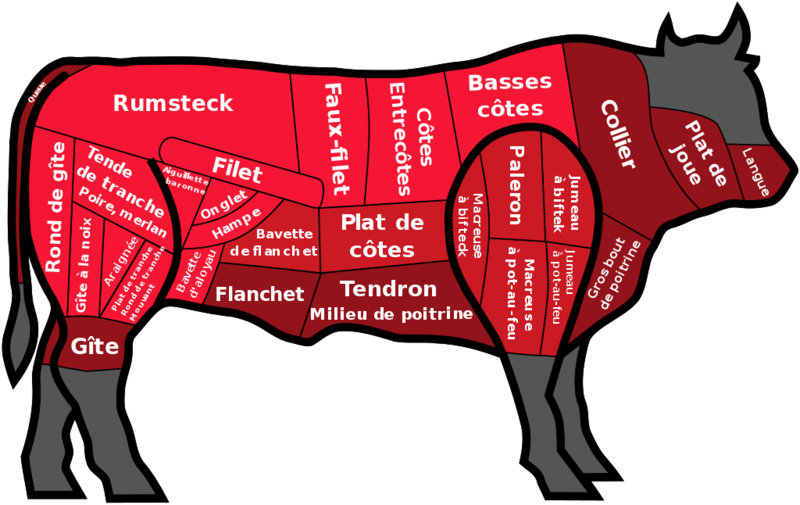 As you can see the French cuts are much more diverse and precise as the US beef cuts. While the UK cuts still give you an idea of what could be available at a French supermarket or butcher. That being said, what you really want for a beef stew is a cheap cut. This is all you need. 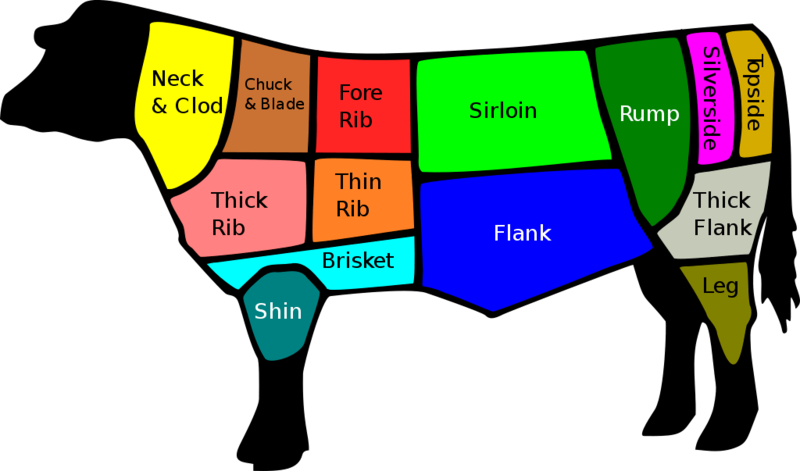 Once you are done with the cheap cut it will taste like an expensive piece of meat. As said above try to get a cut that is thoroughly marbled as it will lead to better results. I packed a lot of mushroom love into this recipe, hence the title. I used three different kinds of mushrooms. While the most common of those three would be the brown mushroom and is one of my staple ingredients, I have added oyster and chanterelles too. Both of them were in season while I did the recipe. 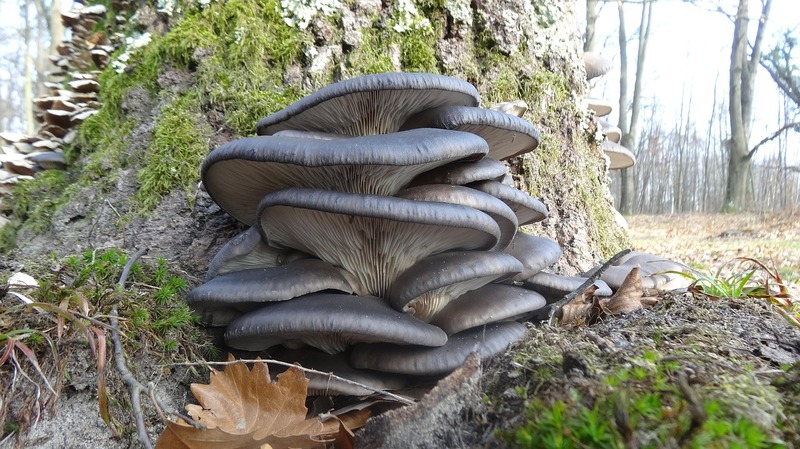 You might have seen the oyster mushroom, known as Pleurotus ostreatus deriving from Latin, on your walks through the forest. It’s also a very common mushroom and popular in many cuisines, especially in Asia. The oyster mushroom tastes great and seems to lower cholesterol levels in a study that used the mushroom as an extract. This is thought to be caused by their content of beta-glucans. Beta-glucans are polysaccharides that occur in the cell wall of fungi, but also bacteria and cereals. The chanterelle mushroom used to be one of my least favourites and seems to have to become one of my favourites instead. Thanks to their orange to a golden colour they are easily recognisable. Their meaty body is dense and edible. The caps (i.e. hats) are wavy and also fleshy, as can be seen in the picture above. The main reason why I ended up loving them so much is for their nutty flavour that might come with an idea of peaches. Chanterelles are, like mushrooms usually are, very nutrient rich and low in calories. 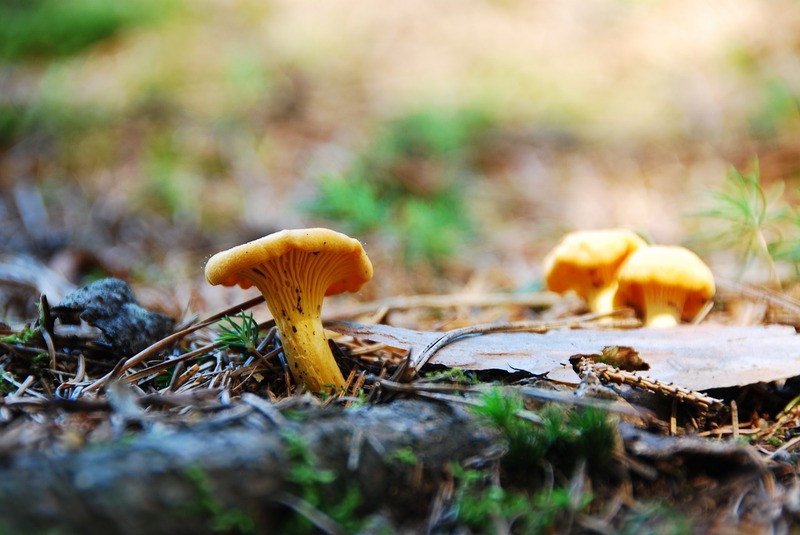 What makes chanterelles special is their high content of vitamin D2. Besides that, they are very rich in the vitamin B2, 3, 5 and 6. While you could eat the chanterelles raw, they are best prepared with some fat as most of their flavour profile is fat-soluble and only then gets released. As with all mushrooms, you don’t wash them with water to clean them. This would end up in very soggy mushrooms that taste like nothing and won’t be fun to prepare and eat. Instead, you brush off the dirt that’s attached to it. You can do this either with a dedicated mushroom brush, or a culinary brush or simply use your fingers and a clean cloth. Just handle them carefully. While many mushrooms get cut into pieces the oyster and the chanterelle typically don’t get cut. Instead, you carefully tear them apart. Simply take them by their cap and slowly tear on them. Their fibrous texture will lead the way. 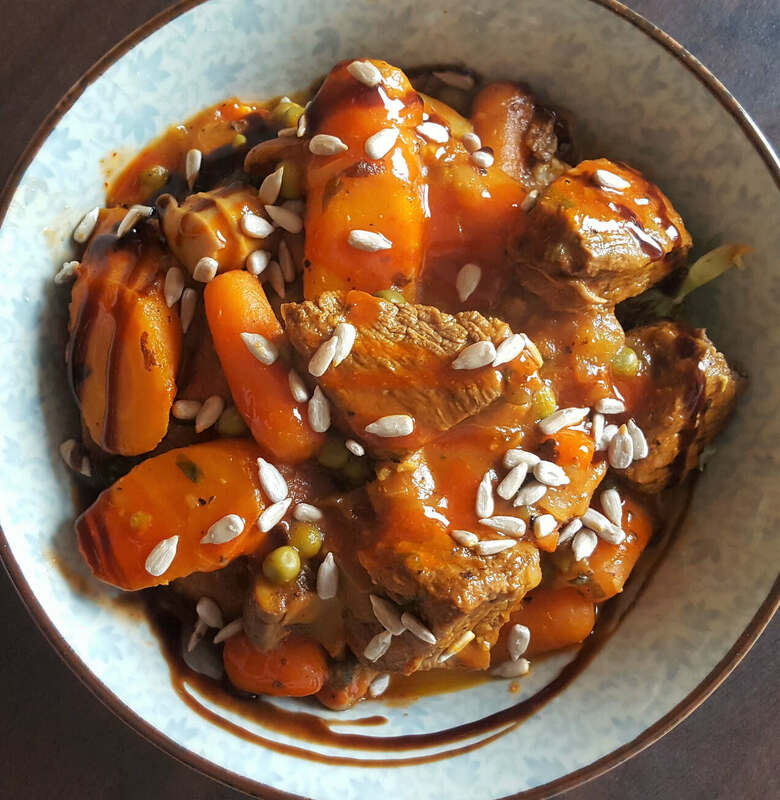 Once the beef mushroom stew is done you can garnish your bowl with some balsamic cream and sprinkle a few sunflower seeds over it. I hope you enjoyed this recipe. It’s a very versatile dish and you can adjust it to your liking. Go ahead and share this recipe with your friends or make it yourself. Let me know how it turned out. Heat up a big pot. In the meantim trim the fat from the chuck and put it into the pot. This will slowly render out the fat. Peel the onion and the garlic. Chop everything up into small pieces. 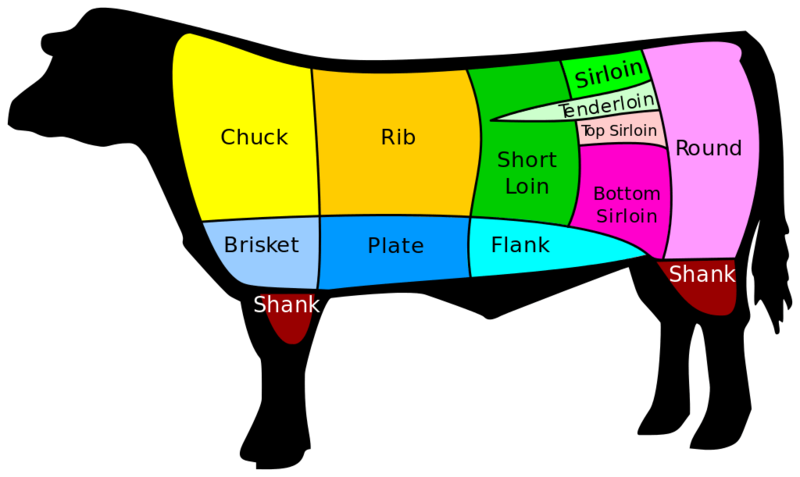 Cut the beef into pieces of around 3 cm in size. Remove the pieces of fat from the pot and sear the beef. In case you need to add some more fat. Once the meat starts to brown add the onion with the garlic. Cut of the ends of the carrots and slice them. The slices can be a good 5mm thick. Add them to the pot. After a couple of moments deglaze the pot with some water and add the tomato sauce. Clean the mushrooms and cut the brown in half or quarters. Tear the oyster and chanterelles mushrooms carefully into smaller pieces. You don't wash mushrooms in water and you don't want to cut the oyster and chanterelles with a knife. To clean them use a mushroom brush or a cloth. Add the mushrooms to the pot with the bay leaves and fill up with water. Season with plenty of salt and pepper. Now it can cook on medium-high heat for an hour. Stir occasionally. Then you can add the canned peas and baby carrots. Let cook for another hour or until the meat is tender and falling apart. Keep stiring occassonally. In the unlikely occassion that your meat isn't falling appart yet, add some more water and keep boiling it. The meat will become tender eventually. In case you run out of liquid you can add some more water. If you are close to the 2 hour mark you can reduce the heat and the fresh basil to the pot. Let cook until the stew has a thick sauce, re-season with salt and pepper if needed and serve. 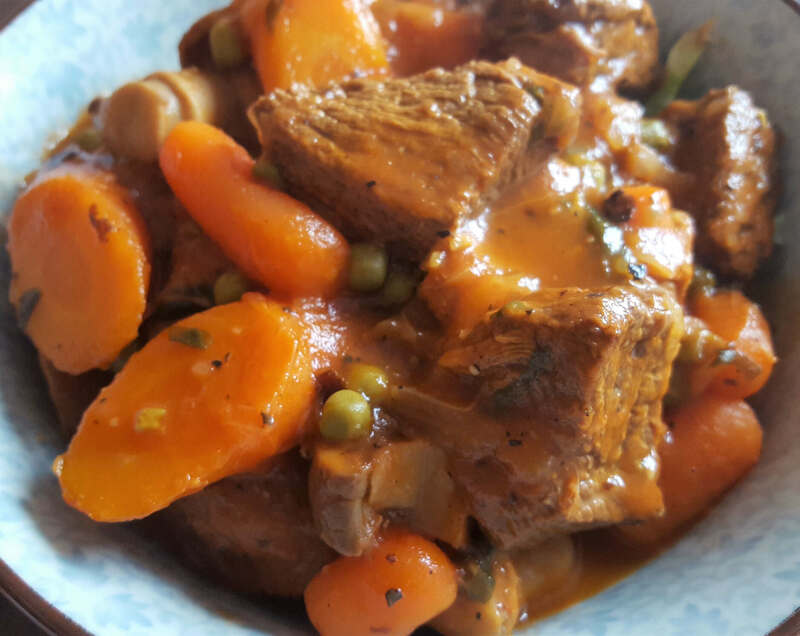 This entry was posted in Cooking, Low Carb Diet, Paleo Diet, Recipe and tagged beef, beef stew, low carb, mushroom, mushrooms, paleo, recipe, stew by Stefan. Bookmark the permalink.